This is a key time for ranchers to make an impact on the performance and production of their ranch. 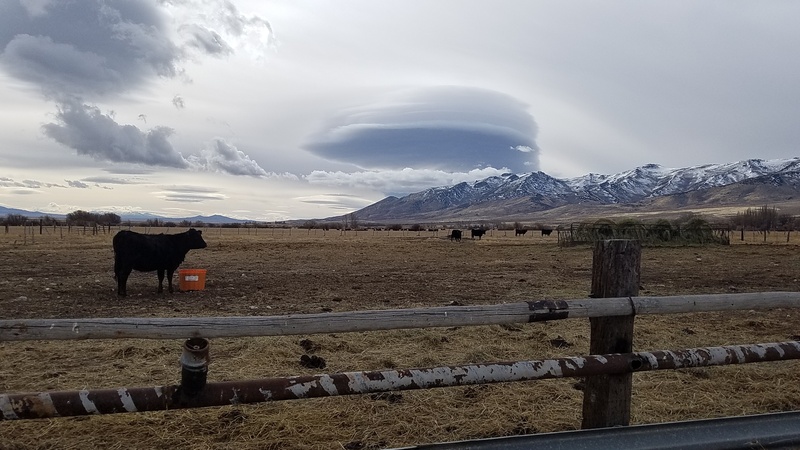 As ranchers approach breeding season, we at Rio Nutrition are very passionate about helping folks to positively impact breed-up rates and get more cows caught in the first cycle. How we do it? Using the Esqort™ Trace Mineral Technology. Now Esqort™ Trace Minerals: Copper, Zinc and Manganese, are 100% protected! This ensure those minerals have the highest possible chance of getting into the blood stream. That is how we impact breeding performance, fertility, first cycle conception: real impactors of ranch profitability. Spring and summer are coming up and we wanted to touch on the subject of fly control. We have an exciting announcement to make! In the US we now are introducing Riomax lick tubs that contain Altosid® IGR. Many of you may know Altosid® IGR is a larvicide that interrupts the horn fly reproduction cycle. A little bit about horn flies that is relevant to this conversation is that they actually take up to 40 blood meals per day. Those painful bites result in reduction of both weight gain and feed efficiency. Horn flies are responsible for weight losses of as much as 50 pounds per animal and university research indicates that horn fly population can actually reduce milk yield and quality. So, Rio Nutrition has combined the technology to get mineral into the blood (100% protected mineral) and layered that in with the fly control. This helps to keep those cattle spread out, so they do not bunch up. With cattle scattered out, we impact grazing management to get more out of your whole landbase. As a result, we can improve that milk quantity and quality, and hence the weight gain on your calves. As part of this blog, we would like to invite ranchers that are not currently using Riomax lick tubs or loose minerals to reach out to us. As a family business, we’d love to help you out, sweeten the pie for you and get you on board. We’re offering a free Cattlevacbox worth approximately $300 with every 4 ton plus order shipped in April! We would love to help you out and get you in on the Cattlevacbox giveaway (Click here)! We wanted to finish off with a testimonial. Tom is one of our customer out in Eureka, SD. He runs 550 cows and he told us, “I used to run 10% open. In the first full year on Rio barrels I dropped down to 5% open!” Tom also shared with us, “I’ve increased the carrying capacity of my ranch by 41%”, in other words, he’s got a 41% increase in herd size over the last four years. He attributes that to the Riomax program. So, at the same time as improving the breed-up rate numerically, he has increased the efficiency of his ranch. We love to work with folks like you to improve the output and efficiency of your landbase, your genetics, your investment and your resources, giving you more bang for your buck out of your ranching business. Reach out to the beef team at Rio Nutrition. We’re easygoing folks who’d love to visit with you to understand your needs and the challenges that may be specific to your ranch, and help you move the needle in terms of production and profitability of your ranch! Call or text us at 888-714-5781 or...if you’d rather, simply fill out our online form. Thank you and enjoy your April!